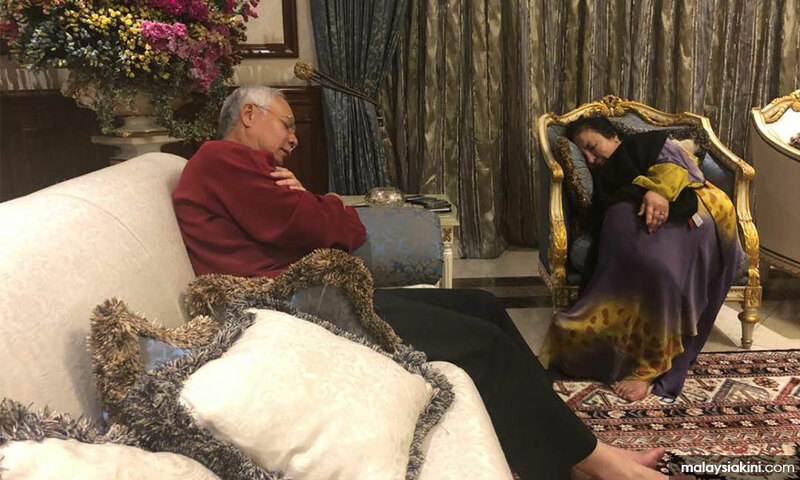 Malaysiakini : COMMENT | The disgraced former prime minister, Najib Abdul Razak, is a better actor than a politician. He lives in a bubble and would dismiss us if we told him that his tenure was a reign of terror. Nevertheless, Najib is aware that time is against him, and he has not been idle. While evidence is being collected, and charges against him finalised, Najib, as is his wont, has not stopped using other people and taking the credit for their work. From his house in Langgak Duta, Kuala Lumpur, he has worked hard to shore up support, rouse the rabble, create confusion, garner sympathy and attempt to mitigate his crimes. He used the steady stream of visitors to his house to make out that he is a victim. He then travelled to his hometown, Pekan, to whip up more support. Notice the troops of white-robed, white kopiah boys, from the tahfiz school, breaking fast with him. Remember that during the spate of tahfiz school fires, Najib did not order the closure of all boarding houses, nor have them inspected for various violations, including fire safety. Instead, he just pumped more millions of ringgit into the tahfiz schools. He banked on Muslim sentiments saying that the fires were God's will. This meant any failure, on the school's part to ensure a safe environment for the children, was completely ignored. The donations ensured that the schools and parents were beholden to him. They dared not blame the authorities for failing, in their duty of care, to protect their children. Najib's modus operandi is "You keep your mouth shut, and there will be more money for you. You help me, I help you." Aware that the eye-watering haul of designer handbags, foreign currency, watches and gold bars, but especially the bags, would implicate his wife, he issued a statement, on his arrival at the Pekan Umno-Baru building, to reiterate that he not stolen the rakyat's money.